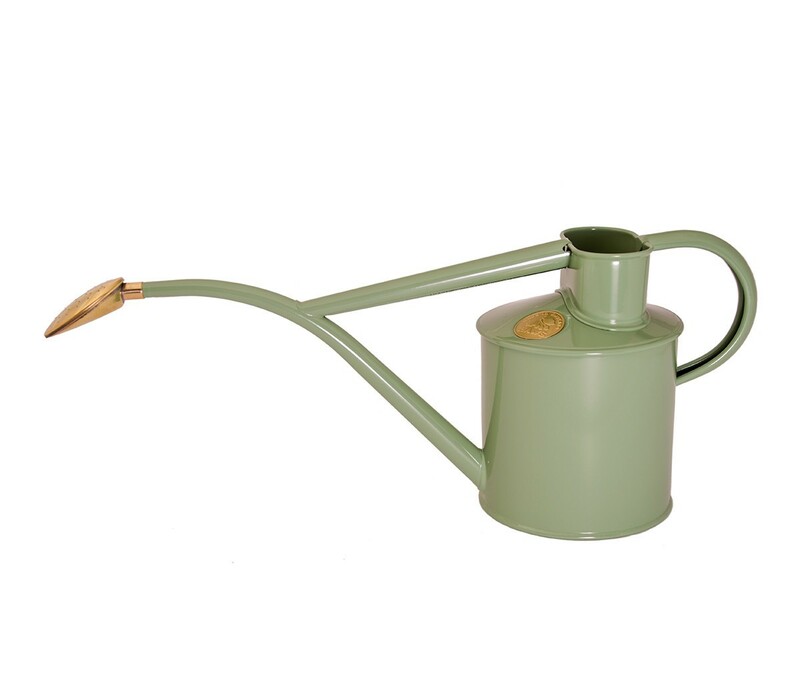 A stylish sage or graphite indoor metal watering can by Haws. 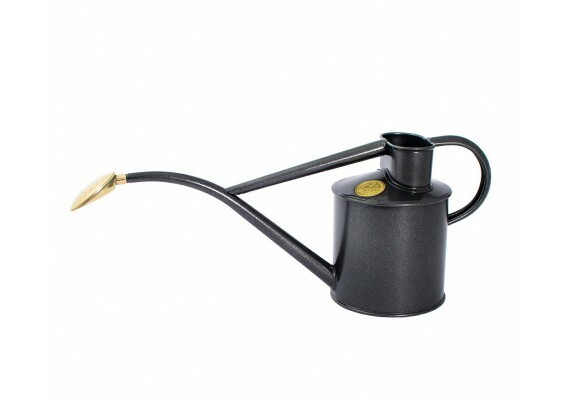 Supplied with a removable brass rose, making it a versatile indoor can for watering small plants, pots and seedlings. 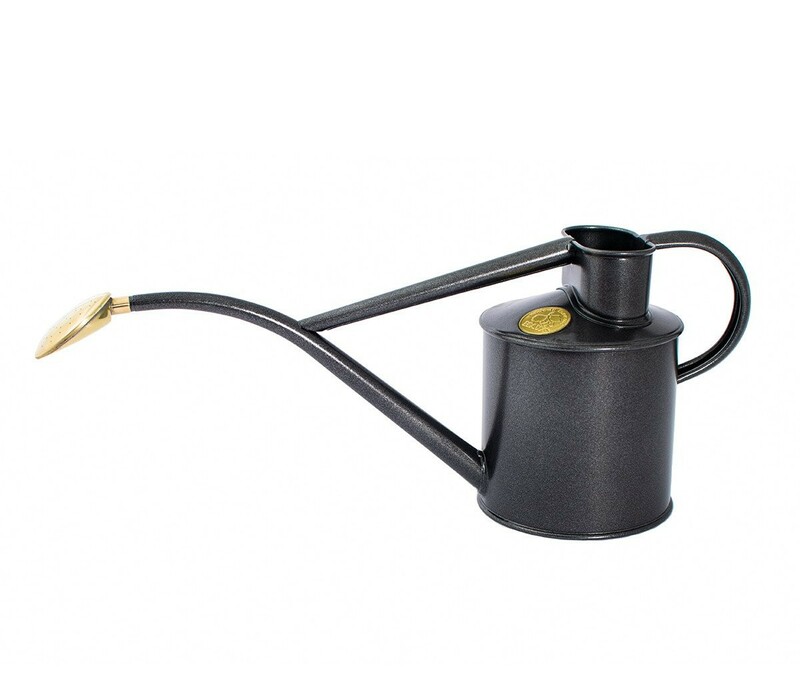 This watering can is extremely practical for the home, conservatory or greenhouse. 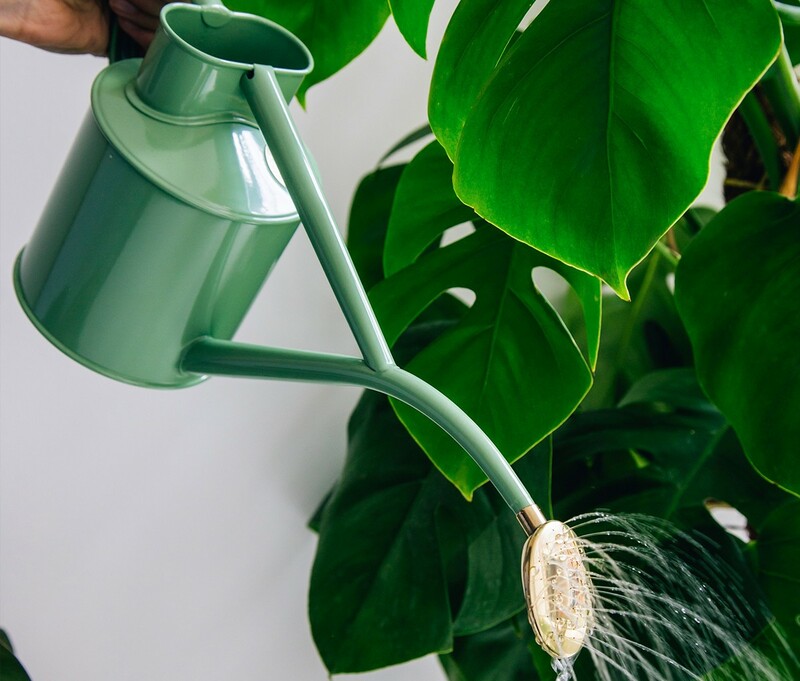 Has a capacity of 1 litre. Dimensions 35cm x 16cm x 11.5cm.